Using named day delivery: Order this product within 5 hrs and 16 mins for guaranteed Saturday delivery. 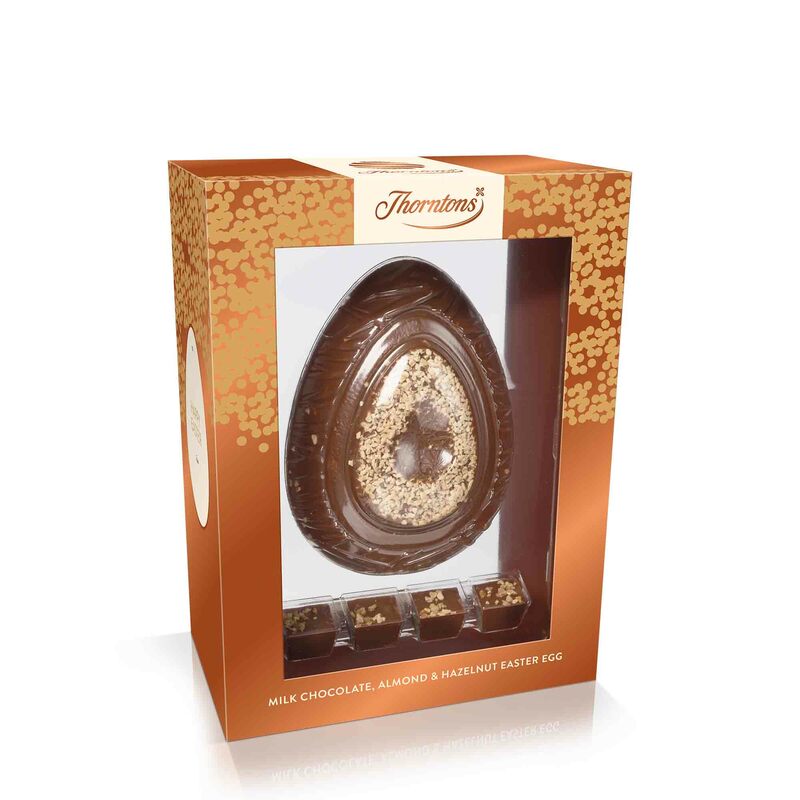 Our Almond and Hazelnut Milk Chocolate egg has been named 'Best Tasting' in the milk chocolate category by Good Housekeeping. 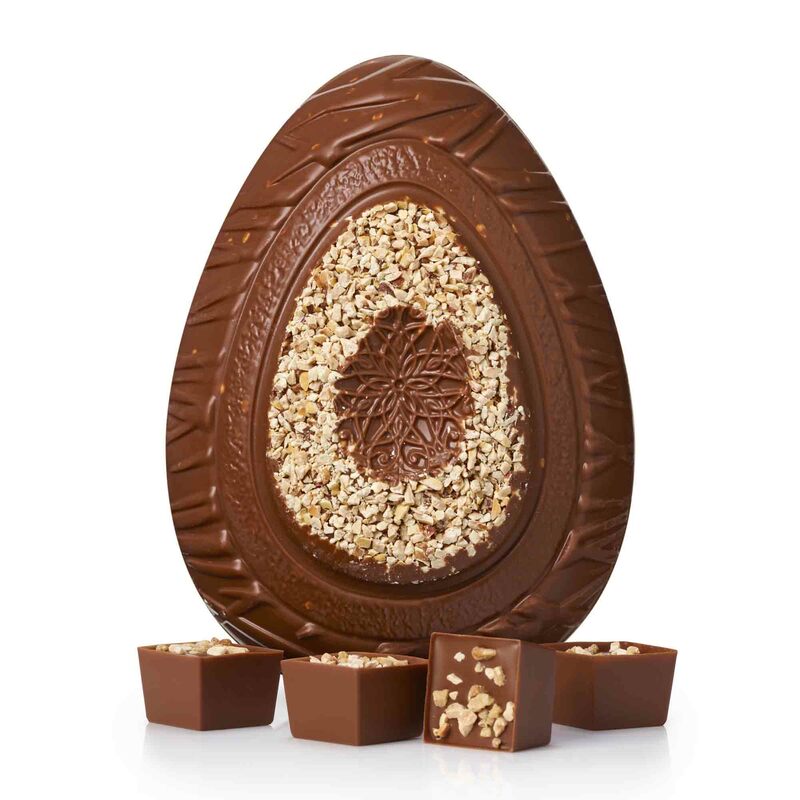 This award-winning egg is one of our several luxurious eggs and brings together impossibly smooth milk chocolate with the crispness of almonds and hazelnuts. It's an ideal gift for the sophisticated chocolate lover. Sugar, dried whole MILK, cocoa butter, cocoa mass, ALMONDS (3%), HAZELNUTS (2.5%), MILK fat, palm oil, emulsifier (SOYA lecithin), coconut oil, lactose (MILK), flavouring, dried skimmed MILK.